Mr. Ellwood’s Live Journal entries from January 2008 through December 2010 provide an interesting glimpse into his journey as a person and magician. He is open about his likes, dislikes, accomplishments, and struggles. He is blunt about his path and the choices he has made along it, even allowing the reader to see a little bit of his own pettiness in the process. His stance on Crowley is articulate, well researched, and entertaining. But it was his willingness to admit that when someone disagreed with his opinion he took the time to look them up and contact them in order to explain his views further and document that discussion that hooked me. Much like a fan dancer of long ago, he showed just enough ‘leg’ to keep me interested and reading on. As far as journals go, though, this reads more like a series of lectures from teacher to student, including the occasional suggestion of homework, than a personal journal. To be fair, Mr. Ellwood is a life coach, so this may just be his writing style. 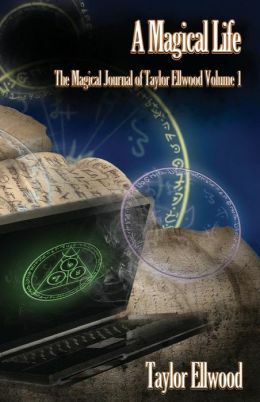 If you are looking for a book that will inform, titillate, and sometimes suggest reading material that may help you along your own mystical path, you have definitely found it in Mr. Ellwood’s journal.